When taking a quick glance over the lineup of robots present at the World Championship, anyone’s eye would immediately be caught by the robot designed and built by the Blockheads, FTC team 7117. Their rainbow-colored creation was almost entirely 3D printed, from the treads to the debris collector. 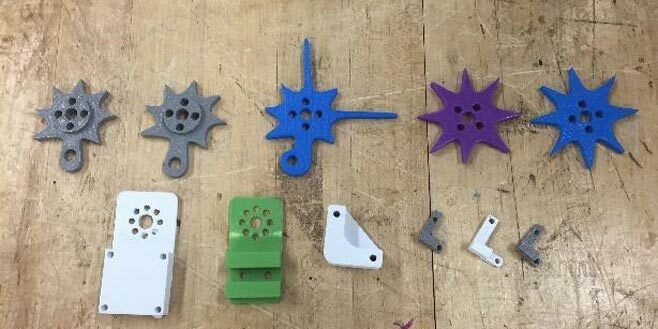 By the team’s last count, their robot had more than 80 3D printed parts!